First of all, I thank to Mr. VKSNathan who gave the idea for this article. (Click here to know the background). Now a days many home loan borrowers are opting a particular type of home loan from SBI which is called Max Gain. In this home loan, an Overdraft (OD) account is assigned to the customer’s home loan & any amount parked by customer is treated as loan repayment for the purpose of interest calculation, for the days, the amount stays there in that OD account. As on date following banks are offering similar types of home loan to their customers. SBI, IDBI, CITI, HSBC & Standard Chartered. Punjab National Bank can also be added in this list but it’s offering a combo of normal loan + OD. In this article, we are going to discuss only SBI Max Gain as in OD linked home loan, for the fact that the maximum business is with SBI & the most discussed topic on JI forum is also related to SBI Max Gain (click here). Before we discuss Max Gain, first understand, what is an OD account? All of us are well aware of functioning of an ordinary saving bank (SB) account. Here account operates between zero to positive & positive to zero. As we deposit our money, it’s used by bank & we get interest on our money from bank. In case of an OD account, bank first ask for a security & then assign a credit limit on the basis of the market value of that security. This security may be Fixed Deposits, Insurance Policies, National Saving Certificates, Shares, Mutual Fund units, house/commercial property etc. Now when we are using this assigned credit limit, the amount is going from zero to negative zone & when we are repaying, it’s coming from negative to zero. As we are using bank’s money in this case, the interest ‘ll be paid by us to bank. That’s how an OD account works. For Max Gain borrowers, SBI opens an Over Draft account where the Credit limit as discussed above is equal to the loan value assigned to the borrower. Here underlying security is the home you have purchased or constructed from that loan amount. Now as & when you are parking any surplus amount into this OD accout, the parked amount is treated as payment towards loan (effectively you are bringing down your loan liability from negative towards zero position) and thus the interest ‘ll be charged only on the difference amount i.e. total loan amount – parked surplus amount. What is the primary benefit of Max Gain? The answer is yes & no both. Yes you can park your surplus during under construction phase but do remember SBI is disbursing partially at this juncture & in case due to any emergency you want to liquidate your surplus, SBI ‘ll not allow the same. So park only that much surplus, you feel you ‘ll not need even in an extreme emergency. To know your actual saving, first of all please demand a loan amortization schedule from your loan serving branch & now for each month compare the scheduled interest outgo as per your loan amort. schedule & the actual interest outgo. If you are paying your EMIs from SBI’s SB account, you can maximize your benefits. How? here it goes. Say 15th is the EMi date on which EMi amount is debited from your SB acct. Now in a normal home loan, people ‘ll keep at least 2-3 months’ EMI amount as buffer in SB account. but in case of Max Gain, you do not need to keep buffer in SB account. Keep this buffer amount also in your MG account along with your routine surplus amount. now use the power of netbanking of SBI for your own good & create a schedule transaction of your EMI amount 28951 Rs. (in the above example) to be transferred on 13th of every month from MG account to SB account. At a time you can schedule for next 12 months by using standard instruction. So it’s technology that’s helping you. I can transfer money to MG account from my existing netbanking enabled SB account but reverse is not happening. why? The answer lies in the fact that Netbanking transaction rights on your MG account is not enabled yet by your loan serving branch. if final disbursal is done, you can apply for transaction rights. if only partial disbursement has been done, sorry, you can’t apply for transaction rights till final disbursal. Now contact, the nearest SBI Branch (if you do have an existing SB account with SBI, it’s advisable to contact there for ease of operation). 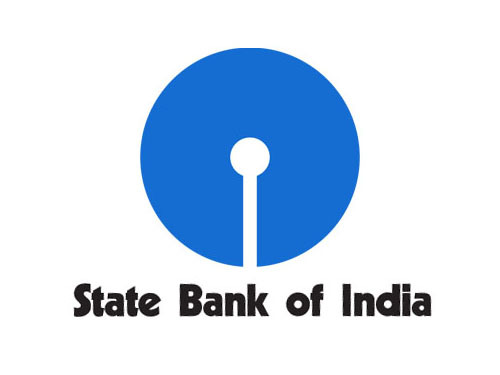 Inform in that branch that you want to transfer your loan from existing bank to SBI Max Gain. fill the application form, submit the necessary papers & SBI’s RACPC ‘ll do the back gorund job. Do you feel, this article was able to answer your all queries related to SBI Max Gain? Was this article helpful for you to understand the overall concept of SBI Max Gain home loan? Please feel free to ask for more help.